Since I was making Fried Green Tomatoes, and James chose shrimp, I wanted to see if I could make a shrimp dish to go with the Fried Green Tomatoes. Luckily for me, I'd just eaten some New Orleans shrimp and Andouille sausage with seasoned onions and jambalaya. I've also made a Creole Jambalaya before, and it was pretty simple and straightforward. For this shrimp dish, I thought something a bit creamier than the Jambalaya would contrast the crispy Fried Green Tomatoes. I started off as usual, by cooking up some onion and garlic. Then in went the chopped tomatoes and seasonings, and finally, the shrimp and milk. Your final product will have quite a bit of sauce. You can thicken it up by boiling off some of the liquid or eat it more as a stew. Another option is to serve the shrimp with Fried Green Tomatoes as an appetizer and put a bit of sauce on each tomato slice. Lots of options! How will you serve this shrimp and tomato stew? 1/2 cup milk I used whole. Cook onion in butter until translucent, then add garlic, cooking until fragrant. Add in tomatoes, Cajun seasoning, parsley, and basil, and simmer about 25 minutes. Stir in shrimp, cooking until pink, then add in milk. 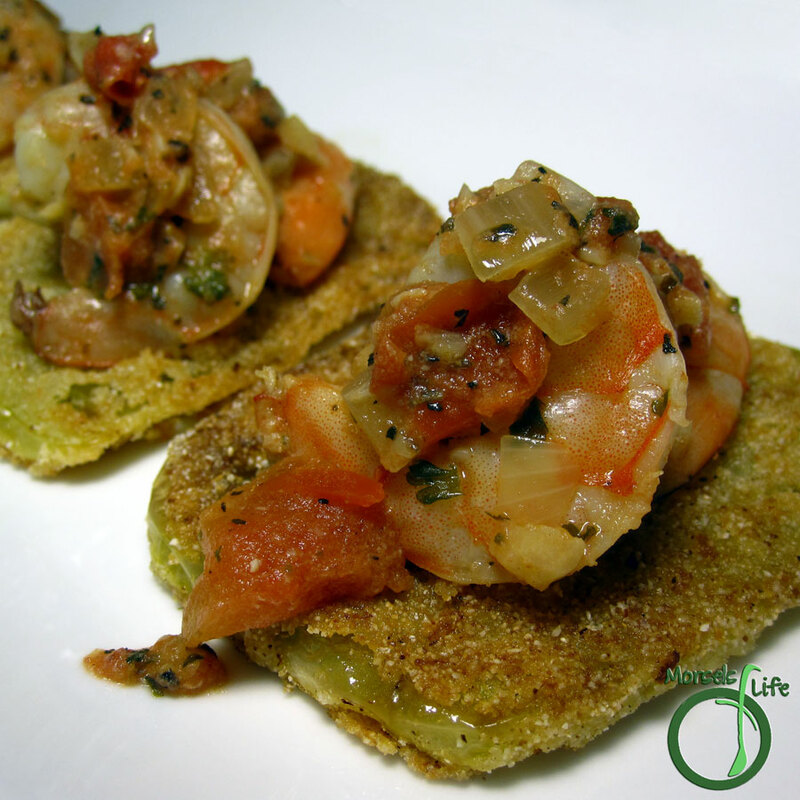 I love the idea of your shrimp served over fried green tomatoes! Give it a try and see how you like it. :) We really liked this dish, and I'm hoping we can get some more green tomatoes this year! Oh yummy! Thanks for linking up at #SustainableSundays! Is that fried green tomatoes with it?? Wow - I bet that is really good! Thanks for sharing on the What's for Dinner link up!